Download it now if you can't wait, but be mindful of the privacy settings. After much beta testing and new feature additions, Microsoft's Windows 10 Creators Update is finally rolling out today. You can read more about all the new stuff in our preview, but if you want to get it as soon as possible, you have two options. You can either wait for it to hit your machine, which could take months, or use the Update Assistant and get it now. Just beware that with the latter option, you'll want to pay rapt attention to the privacy screen -- otherwise, it will reset your carefully chosen settings to the default ones. 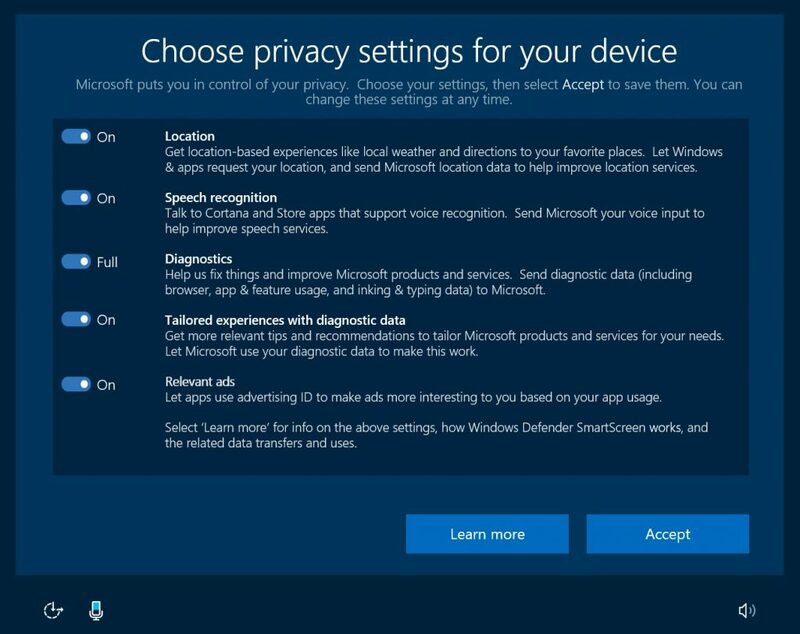 The privacy screen (below) does force you to "accept" the settings, or it won't let you continue the update. Even if you do make changes, however, you'll likely have to tweak them further afterwards, as the installation screen just includes general tweaks to categories like "location" and "speech recognition." In Windows 10 Creators Update, though, there are at least 18 different categories. Speaking of updates, Windows 10 Creators Update arrives with the new Unified Update Platform, which features differential downloads that reduce update sizes and give you more flexibility about when you can install them. That should help stop updates from taking forever and wrecking your day if they arrive in the middle of a critical presentation, for instance. Other nuts and bolts features not related to the fun stuff we discussed in our preview include an easier security setup, virtual trackpad, improved accessibility, Cortana support for smart homes and installations (including the Creators Update itself) and many more small tweaks. Suffice to say, it's one of the biggest Windows 10 updates yet, and despite Microsoft's work, things could go wrong. As such, it's best to update all your critical photos, documents and other data. Once that's ready, you can wait it to roll out to your area, but bear in mind that last year's Anniversary Update took over six months to hit most eligible users. If patience isn't your thing, get the the Update Assistant and pay close attention during the install.